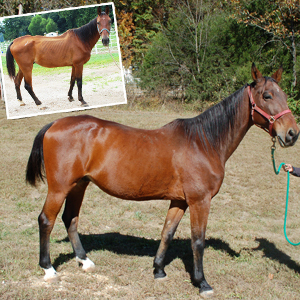 Support the Second Chance Equine Fund at Longmeadow Rescue Ranch! The Second Chance Equine Fund was designed to help horses that have been abused or neglected, often requiring lengthy care before they can be adopted. This fund provides food, medical care, farrier services and training for equines that have been rescued and are in need of rehabilitation at Longmeadow. Mojo came to Longmeadow in late summer of 2015. He was in desperate need of routine care that had been neglected for many months. With a strict feeding schedule, proper dental care, vaccinations and parasite control (and lots of TLC from Longmeadow staff) thanks to the Second Chance Equine Fund, this deserving gelding is now healthy and happy. If you prefer to mail or fax your request in, please Click here for a printable version.